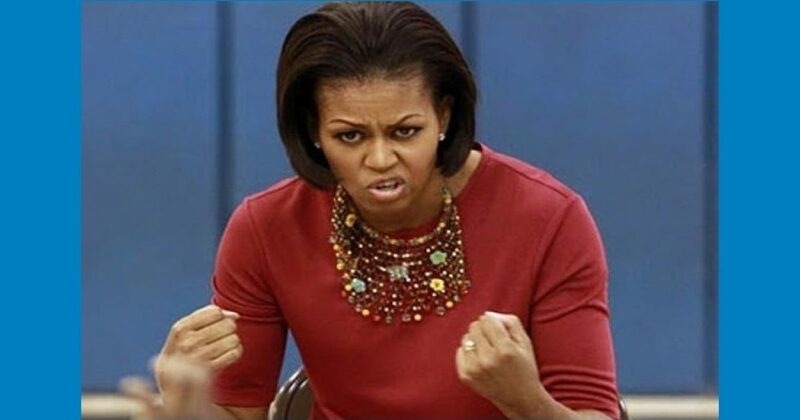 Like a stubborn zit that refuses to go away, Michelle Obama is now telling American women who voted for President Trump how stupid they are. They could have had Monica Lewinsky’s ex-boyfriend’s wife in the Oval Office, who really respects women. Just ask Juanita Broaddrick, Paula Jones, Gennifer Flowers, Kathleen Willey, Eileen Wellstone, Sandra Allen James, Christy Zercher………. Everyone knows the Wicked Witch of Benghazi loves women. No, I mean really! But, it appears women don’t like her so much. Not regular women, anyway. She is popular among circus freaks, but outside the bearded ladies and sexually confused, she isn’t doing much. Hitlery crashed and burned in 2016 in a very bad way. She, and all the liberal world have been trying ever since to explain the horrible loss to a novice politician who has never held an elected office. Oh, the shame! No matter, Sasquatch to the rescue! Could a pampered parasite be any more arrogant? Thankfully, the twitterstorm Sasquatch’s incendiary, sexist statement generated destroyed her insulting rhetoric. Michelle Obama said if a woman didn't vote Hillary, she "voted against her own voice." WOW! So Michelle voted against her husband in 08? Insulting, divisive rhetoric from Sasquatch. Yeah, that's what we need! About the women that voted for Obama! Does the same apply to them! @MichelleObama Any woman that supports @HillaryClinton for degrading women that her husband raped, gets NO respect from other women. Says the professional vacation parasite whose only legacy was starving schoolchildren.